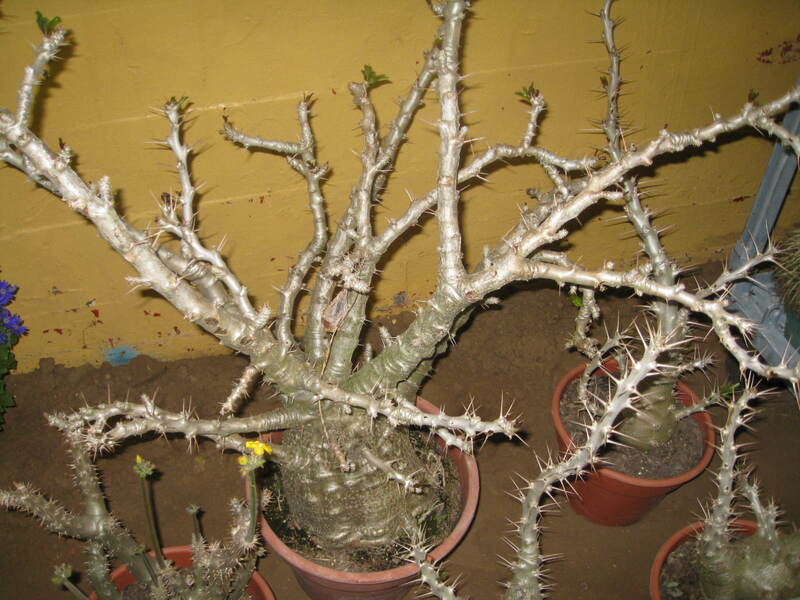 Comments: This South African native is one of the easiest of the Pachypodium to grow. Keep slightly moist kept dry in winter when it has no leaves. Has white flowes in fall at end of the growing season. Most plants are 4-5 years old before they bloom.